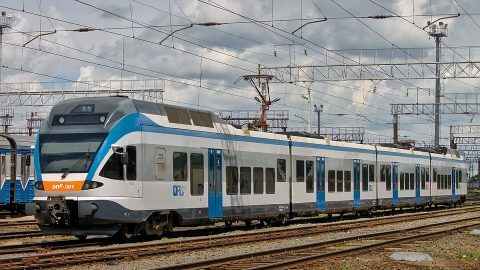 Belarusian Railway intends to purchase thirty electric multiple units and twenty diesel ones by 2025. Most of them are expected to run on the regional and interregional lines as well as on the city lines in Minsk and its outskirts. However, some units will be used on international routes. 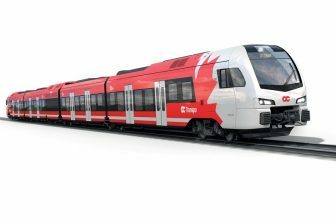 A batch of ten trains may be delivered by Stadler’s subsidiary in Belarus. 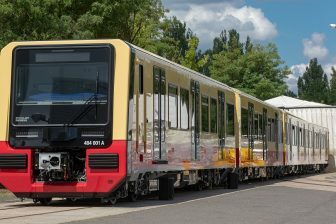 “Currently, we are working with Stadler Minsk (Stadler’s subsidiary in Belarus – RailTech) on the supply of ten five-car electric trains for interregional and international lines in 2020-2021. Moreover, the acquisition of ten electric trains for city lines and ten for regional and interregional lines as well as twenty diesel trains for regional lines is planned by 2025”, said Belarusian Railway’s chairman Vladimir Morozov, quoted in Belarusian Telegraph Agency (BelTA). According to Vladimir Morozov, the national railway company wants to connect all regional hubs with the new rolling stock in the next two years. Also, Belarusian Railway will shorten the travel time between Minsk, capital of Belarus, and the regional hubs by 15-20 minutes in the coming year. After that, the journey from Minsk to Mogilev or other regional centres should take no more than 2 hours and 30 minutes. Besides the mentioned plans, Belarusian Railway has already signed an agreement with Polish rolling stock manufacturer Pesa for supplying 6 six-car diesel trains in 2019-2020. The railway company operates several Pesa-made units. Six one-car diesel railbuses 620M were produced by Pesa together with its Belarusian partner Belkommunmash and were delivered in 2012-2013. Also, Pesa supplied to Belarusian Railway seven three-car diesel units 730M in 2014-2016. Another big supplier for Belarusian Railway is Stadler. 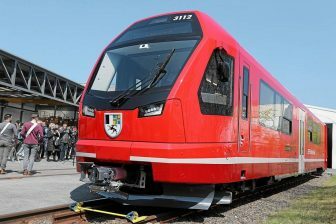 The Swiss company delivered to Belarus 18 Flirt electric trains in different composition (from four to seven cars) in 2011-2015. They run on the city lines in Minsk and on the regional lines from the capital to the main cities of the country. Most of the Belarusian Flirts were produced in Siedlce, at the Stadler’s facility in Poland. Meanwhile, in 2013, the company constructed the production complex in Fanipol, close to Minsk. The Belarusian subsidiary Stadler Minsk manufactures trains and trams for Russia, Azerbaijan, Belarus, Norway, Hungary and other countries.